Add or Subtract the hours and minutes separately. But you may need to do some adjusting if the minutes end up 60 or more, or less than zero! 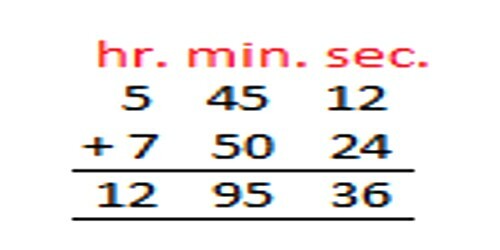 Addition System: Add 5 hr. 45 min. 12 sec. and 7 hr. 50 min. 24 sec. 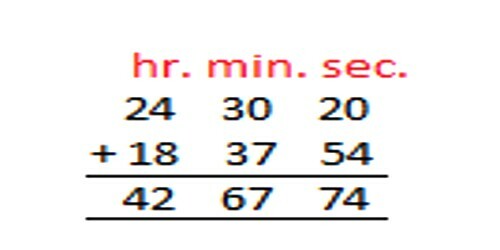 Example 1: What is 2:45 + 1:20? Example 2: What is 4:10 – 1:35 ?